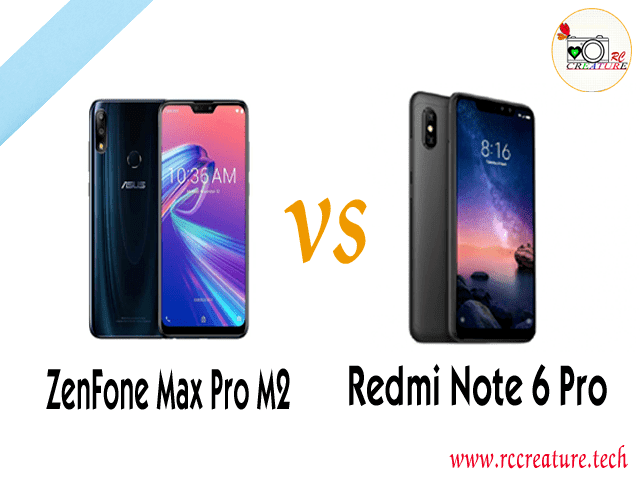 Home» Tech News » ASUS Zenfone Max Pro (M2) vs Xiaomi Redmi Note 6 Pro : Winner goes to ? Both are better in terms of performance. Now both of these upgraded variants have been launched recently, which have been introduced with better designs and hardware upgrades. 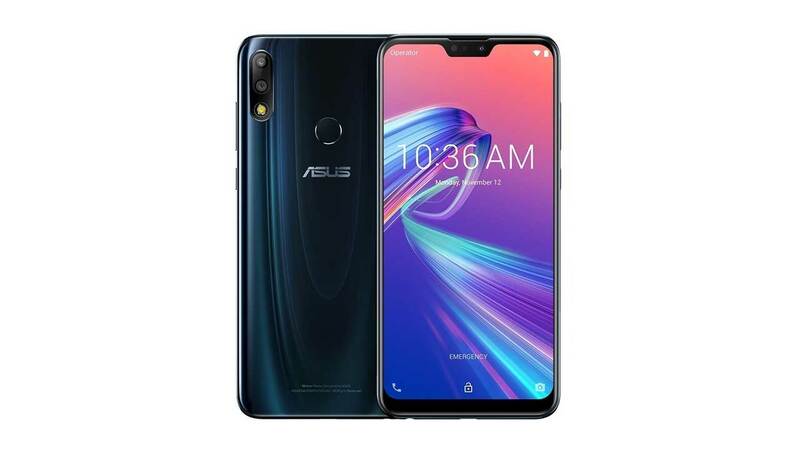 ASUS has made war in this segment by giving Qualcomm Snapdragon 660 processor at ZenFone Max Pro M2. At the same time, Xiaomi has made Snapdragon 636 available in Redmi Note 6 Pro. 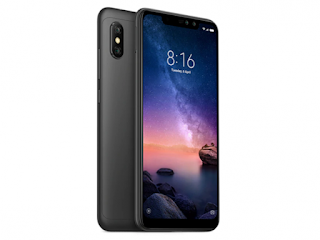 It would be interesting to see if Redmi Note 6 Pro and ZenFone Max Pro M2 can compete with each other, or not. Here I have compared both of the device’s full specs and have shared my own opinion regarding this . 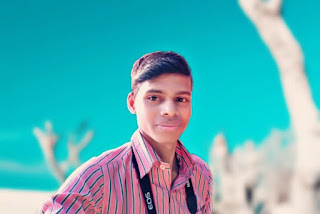 Read full comparison and get to know the winner at last !! The back panel of Redmi Note 6 Pro is built with a simple metal back-plate. Its rear camera has some embossed from the back panel. But this phone is also covered with such a materials, scratches will not be threatened by the camera. At the same time, fingerprints are made on the back panel of ZenFone Max Pro M2, in such cases it has to be cleaned again and again. I recommend using this phone with case. Zenfone Max M2 Pro is like flagship segments in back case. It has a notch in which LED light and selfie camera is present. There is also a MicroSD card slot in ZenFone Max Pro M2. Whereas the Redmi Note 6 Pro has a hybrid-SIM tray. That is, either the user can use the second SIM or the MicroSD card. In case of holding the phone, ZenFone Max Pro M2 is much better. It gives a premium feel. Both phones have a 6.26 inch full HD+ display with pixel resolution of 1080x2280. Their aspect ratio is 19: 9. Redmi Note 6 Pro works on the Android 8.1 Oreo based on MIUI 10 of the company. At the same time, ZenFone Max Pro M2 works on stock Android 8.1 Oreo. There are only three pre-loaded apps in it, which include Facebook, Instagram, and Messenger. In such a way, users will get more space in this phone to use. ZenFone Max Pro M2 has been introduced with the 14nm Qualcomm Snapdragon 660 AIE mobile platform. Its clock speed is 1.9 GHz. For graphics, the Adreno 512 GPU has been given, which makes up 33 percent faster than the previous one. At the same time, Redmi Note 6 Pro works on Qualcomm Snapdragon 636 processor. Its clock speed is 1.8 GHz. Talk about the camera of Redmi Note 6 Pro, it has a 12-megapixel rear camera and a 5-megapixel depth sensing rear camera. Its primary sensor exists with 1.4 microns pixels and dual pixel auto focus. Its aperture is f / 1.9. In addition, there is also a dual front camera setup in the phone. It has 20 megapixels and a 2 megapixel at front camera. At the same time, there is a dual rear camera in ZenFone Max Pro M2. Its primary sensor is 12 megapixel with f / 1.8 aperture. This is the Sony IMX486 sensor. It's the best Sony sensor to come in at less than Rs 15,000. At the same time, the secondary sensor is of 5 megapixel. This can lead to better portrait photos. Along with AI Seen Detection which also helps in giving a perfect shot. Speaking of front camera, it has 13 megapixel sensor. This can lead to better photography in daylight . But this does not give a better result in Low Light. But soon, ASUS will give update for this. Redmi Note 6 Pro has a battery of 4000 mAh. Its battery can last up to a day. To give ZenFone Max Pro M2, a power of 5000 mAh battery is given at back. In the average usage, this phone is capable of running less than a day or less. Such a battery can be considered a better step in this price segment. Even after having such a big battery, the weight of the phone is only 175 gm. Isn't it amazing ?? Well, clearly Asus ZenFone Max Pro M2 is better than Redmi Note 6 Pro in every aspect. So, the winner goes to ASUS Zenfone Max Pro M2 !! Speaking of the price, the Redmi Note 6 Pro's 4 GB RAM and 64 GB storage variant costs Rs 13,999. At the same time, the price of 6 GB RAM and 64 GB storage variant is Rs 15,999. At the same time, the ZenFone Max Pro M2's 3 GB RAM and 32 GB storage variant costs Rs 12,999. At the same time, the cost of 4 GB RAM and 64 GB storage variants is Rs 14,999. Apart from this, the price of 6 GB RAM and 64GB storage variants is Rs 16,999. There is not much difference between the cost of both. In this way I definitely recommend buying ZenFone Max Pro M2 in this New Year 2019 !! Let me know whether you have any doubts regarding the same in comment box below . Thank You ! And wish you & all of your friends, family & others, a Great Happy Near 2019 !! Keep Supporting ! 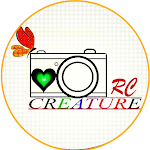 Stay Connected with RC CREATURE !! !